This two-day intermediate level evidence-based course provides you with the information and skills necessary to analyze the functional anatomy and mechanics of the lumbar spine and lower kinetic chain. Providing essential tools for value-based care to improve functional outcomes while optimizing reimbursable time. Extensive laboratory sessions focus on connecting observation of movement impairments with differential diagnosis to determine underlying etiologies presenting in conjunction with lumbar dysfunction, hip pain/stiffness, and lower extremity pathologies. Use of patient cases, participant interaction, and video analysis of movement strategies is presented to determine evidence-based treatment strategies for various lumbopelvic and lower extremity diagnoses. Common patient presentations such as lumbar stenosis, lumbar facet dysfunction, lumbar strain, hip bursitis, gluteal tendinitis, piriformis syndrome, ITB Friction Syndrome, patellofemoral pain syndrome, patellar tendinitis, Achilles tendonitis, plantar fasciitis and posterior tibialis tendon dysfunction to name a few, are discussed in relation to movement system inefficiencies. Laboratory sessions, along with key examination techniques to analyze gait, objective findings, and functional mobility, will provide the essential skills needed to identify altered movement patterns within the ankle, knee, hip, and lumbar spine and their possible etiology. This approach demonstrates the importance of an understanding of how synergistic movement is necessary within the lumbar spine and lower extremities to maintain functional, healthy movement patterns and to avoid compensatory motions that can contribute to long-term disabilities and decreased performance during any activity. At the conclusion of the course, clinicians will understand how to perform a movement examination and apply critical thinking utilizing objective measurement tools to rule out specific dysfunction coming from the lumbar spine, hip and/or lower extremity regions. Critical results analysis will enable the clinician to develop progressive rehab programs to include therapeutic activities, manual therapy-functional motion, and specific exercise programs and to promote optimal function. You will be able to maximize your therapy sessions by identifying the true mechanisms of injury and developing a comprehensive program that encompasses the synergistic movement patterns of the lumbar spine and lower kinetic chain to promote optimal function. 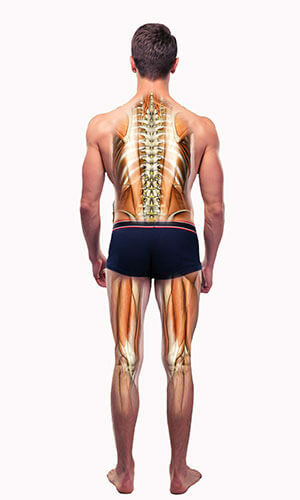 Identify anatomical structures and normal biomechanical-functional movement of the hip, lumbar spine and lower quarter. Apply etiological and physiological concepts as they pertain to the hip, lower quarter and lumbar spine function, while recognizing signs and symptoms associated with various conditions. Implement a systematic approach to gait assessment and describe common impairments throughout the lower kinetic chain that can lead to movement dysfunction. Develop and integrate an accurate treatment classification category into a comprehensive program for treatment of lumbopelvic disorders. Perform a differential diagnosis examination to rule out: lumbar stenosis, lumbar facet dysfunction, lumbar strain, lumbar disc herniation, hip bursitis, gluteal tendinitis, piriformis syndrome, ITB Friction Syndrome, patellofemoral pain syndrome, patellar tendinitis, achilles endonitis, plantar fasciitis, posterior tibialis tendon dysfunction. Plan and implement an evidence-based assessment for the lumbopelvic region and correlating structures based on a biomechanical and functional assessment of the lower extremity and trunk. Justify and perform specific mobilizations to the lumbar spine and lower quarter. Incorporate specific therapeutic activities to supplement in-clinic interventions, joint mobilizations, and self-directed versions of hands-on treatment. Develop programs that improve patient outcomes and satisfaction, while maintaining optimal documentation and billing practices to decrease re-admission and improve word-of mouth referrals from current patients. Develop a systematic approach that incorporates clinical reasoning skills and evidence-based research when analyzing the results from a movement analysis examination as it pertains to lower extremity and lumbar dysfunction. Develop progressive exercise and functional mobility programs to decrease pain and promote biomechanically optimal functional movement within the lumbar spine and lower quarter. I will teach you to understand the faulty mechanics of the patient’s system and how it will affect both function and ultimately the treatment approach.